The lounge room set ' the enchanted broccoli forest' is a companion book to the Moosewood. 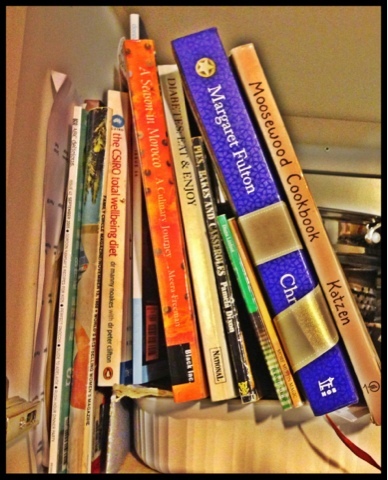 The messy kitchen stash - currently enjoying 'a season in Morocco', beautifully illustrated and tangines to die for. The small green book and the yellow one next to it are 'muffin magic' and 'more muffin magic' by a local food and nutrition teacher - still my favourite muffin books as they are ' never fail'. 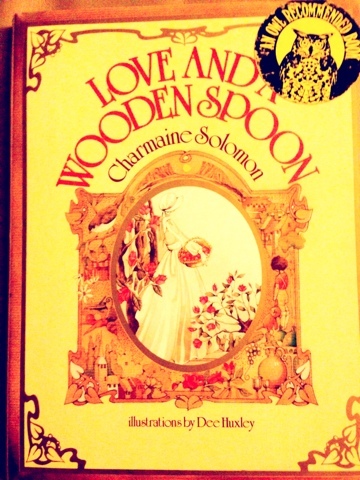 'Love and a wooden spoon' - this was my first cook book and birthday present from a lovely lady Allison Nagy. A New Zealander married to a Hungarian who worked with my Father in the nickel mines. Mining towns were always, and still are a large mix of nationalities and transient families who all knew each other and moved where the work took them. She gave me this for my 21st and I treasure it. 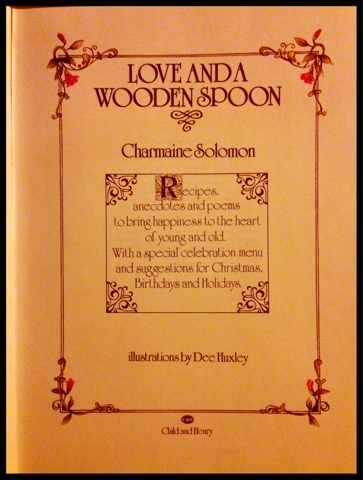 Beautifully illustrated and wonderful recipes and poems. My new cookbook is the Internet and I'm currently looking up 'Thai pumpkin soup', seems to involve red curry paste... Hmm shopping tomorrow. What are you cooking up? 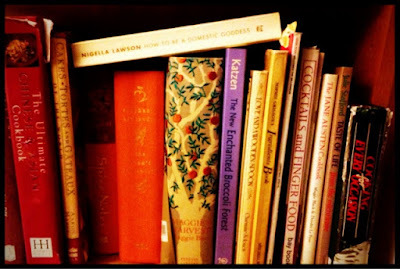 I lloved seeing your books :) including some of the loved familiar ones!